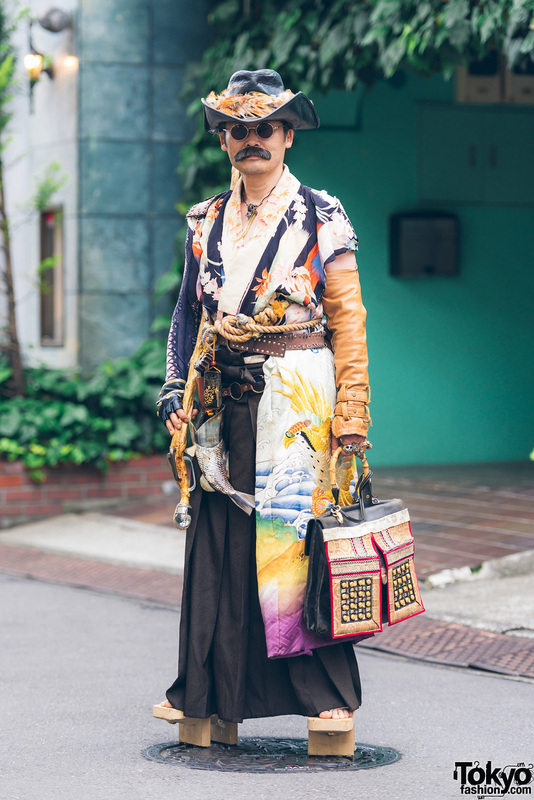 Stylish Japanese duo in head-to-toe Vivienne Westwood printed street styles in Harajuku. 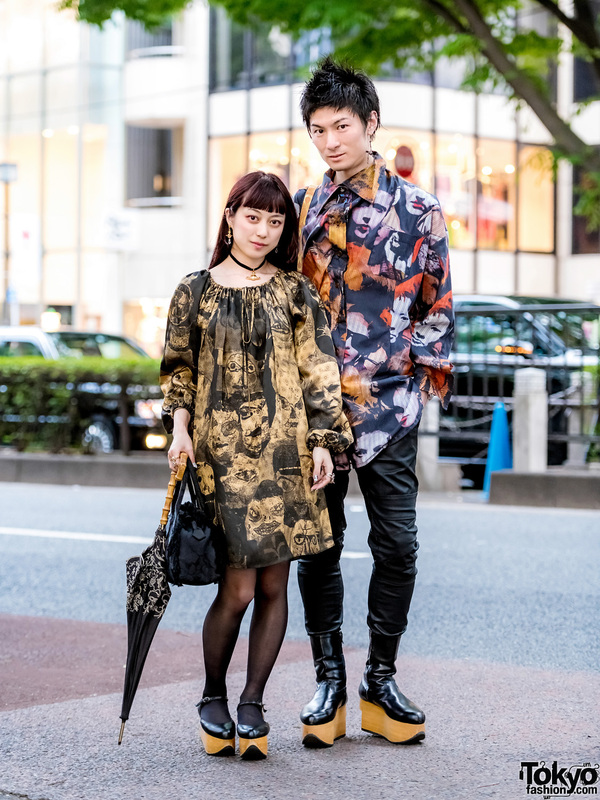 Fashionable Japanese couple wearing mixed colors and prints on the street in Harajuku. 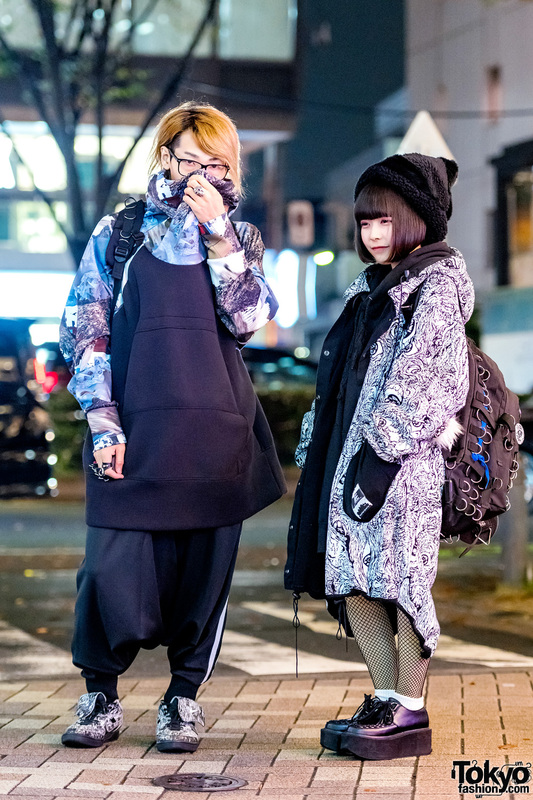 Japanese duo showcasing printed streetwear in Harajuku. 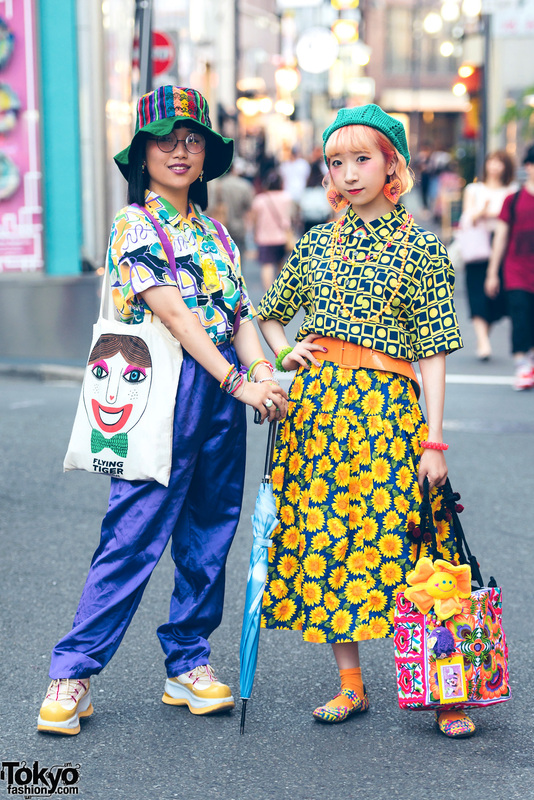 Harajuku girls in colorful graphic street fashion with button down shirts, satin pants, sunflower print skirt, platform sneakers, weaved baby doll shoes, tote bags, and accessories. Harajuku girl in printed kimono, short shorts, black sneakers, a fuzzy visor and a see through sling bag.